Maiko Kodama started playing piano when she was 5 years old. She was influenced by classical, hymn, and Japanese folk music. She started to listen to more popular music when she traveled to New York to study at the age of 18. There she found drum'n'bass, trip hop, rock, and other music which she still listens to today. Maiko belonged to a group called KAZENOHITO which translates to "THE PEOPLE OF THE WIND". In KAZENOHITO, there are DJ's, MC's, bands, graphic artists and etc... The Members of KAZENOHITO are DJ DENNO, JPC band, Smorgas, MC WISE, underslowjams and others. Maiko released her first drum'n' bass EP "Hatsukaze" in 2003. 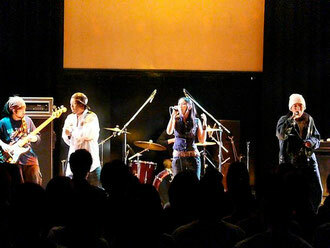 After the EP she started to sing with JPC band and became a member in 2004. She has been composing many songs for JPC band. 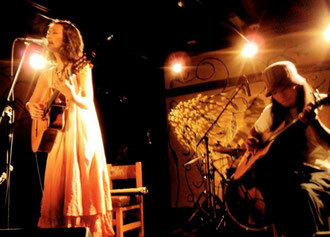 Maiko started a new project called "sosui" in 2006 with guitarist Hidechi. With the soft singing voice of Maiko and melody from Hidechi's guitar they create a world which tend to forget about today. In the modern world we all tend to forget about and miss the nature which surround us. sosui plays in cafes and clubs around the city and released their first album "prana" in October of 2007 and continues on the journey of sosui. If you want to buy sosui's CD,click here!